As historian James Belich put it: `There is little doubt that Cook has been emphasised to the unfair exclusion of the massive French contribution to European knowledge of New Zealand.' This book seeks to redress this balance, drawing in the main on primary sources (both here and in France, and including primary research from original French documents never before translated into English) and scholarship from key researchers in this field. 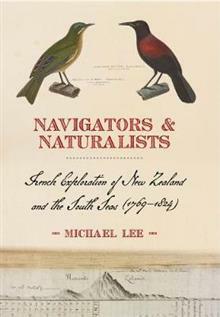 As well as fascinating descriptions of what the French saw when they travelled around NZ's coast, Lee focuses on the key characters of this age of French exploration (names such as de Surville, du Fresne, La Perouse, D'Entrecasteaux, Duperrey, Freycinet, D'Urville and Lesson), their relationships with Maori and the desire of France to complete with the British in the Pacific. Michael (Mike) Lee is a councillor on Auckland Council and the former chairman of the ARC. He chairs the transport committee of Auckland Council, and sits on the board of Auckland Transport. Before gaining his Masters of Science degree, Lee spent some twenty years in the merchant navy. This combined with his love of the French language and culture led him to research a part of New Zealand and Pacific history that is little known to English speakers. 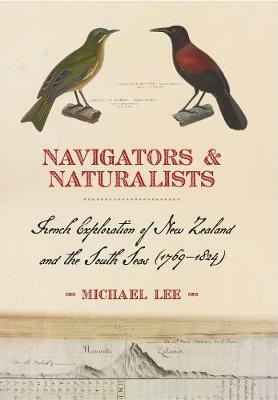 His more recent work in conservation restoration work has influenced his engagement with the natural history aspects of this re-examination of the contribution of French explorers and biologists.